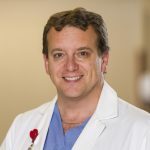 KINGSTON, May 28, 2018: Novari Health, an international leader in designing, building and deploying access to care software technologies that improve access for patients, announces the appointment of Dr. Chris Simpson (BSc, MD, FRCPC, FACC, FHRS, FCCS, FCAHS) as Chief Medical Information Officer (CMIO). Dr. Simpson is recognized nationally and internationally for his clinical work and healthcare policy leadership. He is practicing cardiac electrophysiology at Kingston Health Sciences Centre, is the Acting Dean of the Queen’s University Faculty of Health Sciences and Acting Chief Executive Officer of the Southeastern Ontario Academic Medical Organization (SEAMO). Dr. Simpson assumes his new role with Novari Health effective July 1st. Dr. Simpson’s primary non-clinical professional interest is health policy – particularly access to care, seniors’ care, wait times and medical fitness to drive. He served as the chair of the Wait Time Alliance (WTA) – a federation of 17 medical specialty societies and the Canadian Medical Association (CMA). He has served on the Cardiac Care Network of Ontario (CorHealth) Board of Directors, is a past member of the CCS executive and a former governor of the American College of Cardiology. He currently serves as the Canadian representative to the World Medical Association (WMA) and is Chair of Health Quality Ontario’s Quality Standards Committee. Based in beautiful Kingston Ontario, Novari has offices in Toronto, Vancouver, Boston and Sydney Australia. Novari focuses exclusively on designing, building and implementing healthcare software solutions that improve access to care for patients and the efficiency of the healthcare system. The Novari Access to Care software platform includes virtual care, eVisits, eReferral, central intake, wait list management and eBookings. Novari is a Microsoft partner and leverages the Microsoft Azure cloud infrastructure.